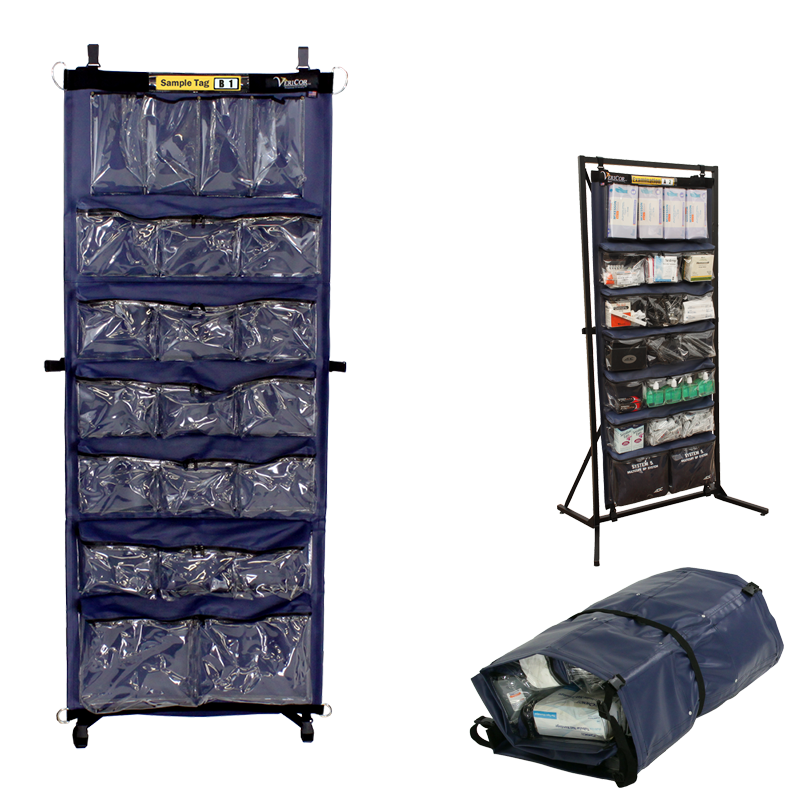 A wheeled duffle bag for organizing and transporting medical supplies. This mobility-focused bag has a spacious main compartment for plenty of storage, while a separate drop bottom compartment offers additional storage and increased organization. A durable chest suitable for large size medical equipment and accessories. This compact case has a portable tray with two deep compartments with covers for smaller items. The unique tote tray sits comfortably on the steel handle for easy access. The Bag Go-Bag (MC-GB) is a wheeled duffle bag that gives medical supplies the organization needed for a quick response. This is the same bag used to hold the Vaccinator 500 Go-Bag vaccination system. In-line skate wheels, a retractable locking pull handle, padded carry handles, and an adjustable buckle strap compliment the spacious zippered main compartment, front and side zipper pockets, and the hard-sided separate bottom section. Multiple compartments including a drop bottom for spacious storage. Retracting telescoping handle and padded carry handles.